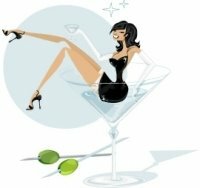 Sassy Happy Hour is tonight (Thursday 5th March) at G Bar at IFC, Podium Level 4 from 6.30 to 8pm. Come casual, straight from work or just as you are. You can RSVP on the main site, or just turn up. We look forward to seeing you there, and hopefully a nice drink and a chat will cheer us up a bit with this miserable weather we’re having! We (6 people) arrived @12:30pm for our booking on Mar 23, 2011. We’re starving in the G Bar waiting for more than 60 mins of our ordered food including oysters, soup, salad, and main courses. G Bar is supposed to be one of the top restaurant & the poor service proof that it is not worth the money we spent (~HKD 4,500). To make it even worst, smoking is allowed in the restaurant even it is complained to the manager. And the food quality is not worth the $$ we pay.